MARKSTAAR Plastic Recycled Tables - Buy Plastic Recycled Tables – 4ft. WTPT-4000. 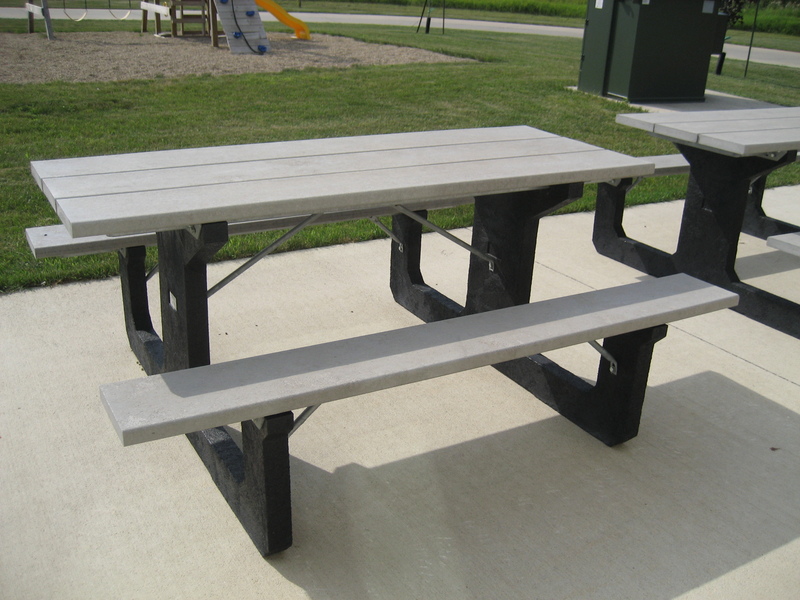 Recycled plastic tables are the perfect outdoor accessory for schools, corporate grounds, parks, golf courses, walking trails, biketrails, nature trails, water parks, and commercial applications. The solid construction is made to withstand hard use and provides a high quality, cost effective alternative to wood or concrete. 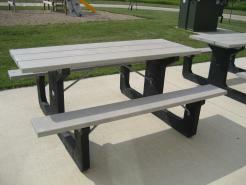 Strength and sustainability are hallmarks of this line of well-built picnic tables. The Walk-Thru design provides comfortable, easy access, while the Step-Over design offers a rugged, contemporary look that’s great for those heavy-use areas. 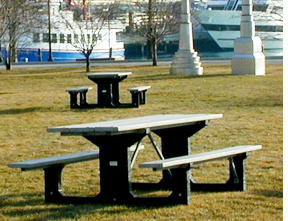 Or try our Hex table for a more intimate group setting. Composition: The finished productis manufactured from a minimum of 96% (by weight) commingled, post-consumer and/or post-industrial recycled plastic. • Allow for mold shrinkage. Lead Time: 1-3 weeks before shipment. This item is "Build to Order".